I kinda love it when celebrities that I already like turn out to be really into their food, I guess because it makes them more relatable to me – why else do we want to find out about what they do in their spare time? Little did I know that Alicia Silverstone of important film Clueless is now a website-wielding vegan, letting recipes and tips and stories fall for whoever wants to catch them. The recipe on her site The Kind Life which caught my eyes wasn’t actually from her, but a site member. However, Silverstone herself is evidently no slump in the kitchen. Her recipes are not only extremely legit and delicious looking, some also appear hastily flash-photographed in a kind of charming, regular-people way. I’d been looking for a decent cut-out cookie recipe since I got some seriously awesome tiny cutters from my godfamily for Christmas, including a tiny star, a tiny ace of spades, and a tiny teardrop. I actually got my little brother some excellent cookie cutters for that same Christmas – now he can make ninjabread men. I also got him Street Chant’s album Means. I’m a good sis. So Julian, if you’re reading this…then keep reading. The recipe I found was from Madeline Tuthill and because it’s vegan, as per Silverstone’s ethos, you don’t have to stress about the fact that butter is now upwards of $5 a block (whyyyyyy) or anything like that. All the ingredients are of the comfortingly within-reach variety – some oil, some flour, some syrup – and all you have to do is mix and roll. (“Rolling with the homies“…oh Brittany Murphy. So amazing in Clueless.) The dough is pliant and stands up to many a re-roll, lifting easily from its cut-out indentations to leave behind your shapes. However, I had to add more flour because it was initially too soft to cut properly – this could be due to anything, ingredients, height above sea level, the weather – so if you’re making these, pay attention to your dough and see if you need to add more flour or if it’s all good as is. And though it asks for wholemeal flour, you could just use all plain. I did, with some quinoa flakes added because they were sitting round, looking awkwardly unused. Adapted from a recipe of Madeline Tuthill’s, from The Kind Life. 1 cup golden syrup, maple syrup, or honey, or agave nectar, or cough syrup (kidding!) or a mix of whatever you’ve got. 1/2 cup oil, I use rice bran oil because it doesn’t taste too oily. Set your oven to 190 C/375 F and lay some baking paper on an oven tray. 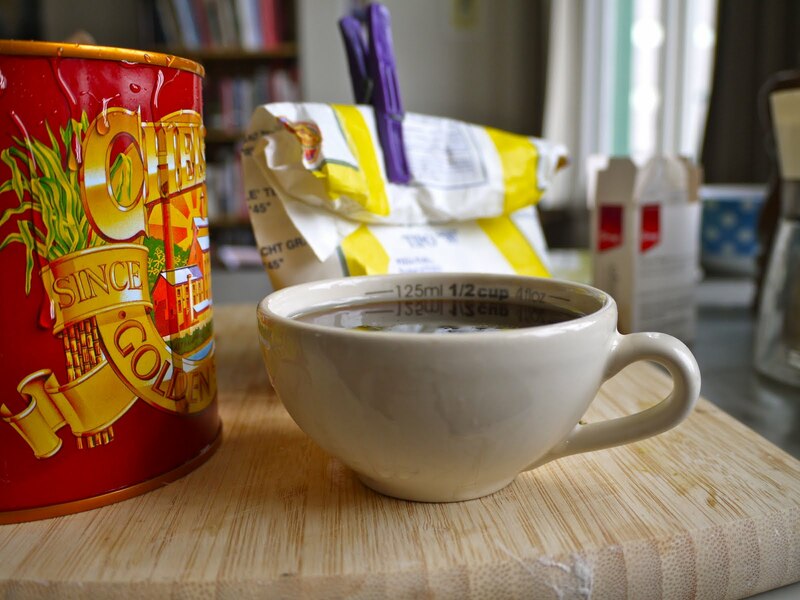 Mix together all the dry ingredients, making sure the baking soda and baking powder are well incorporated. 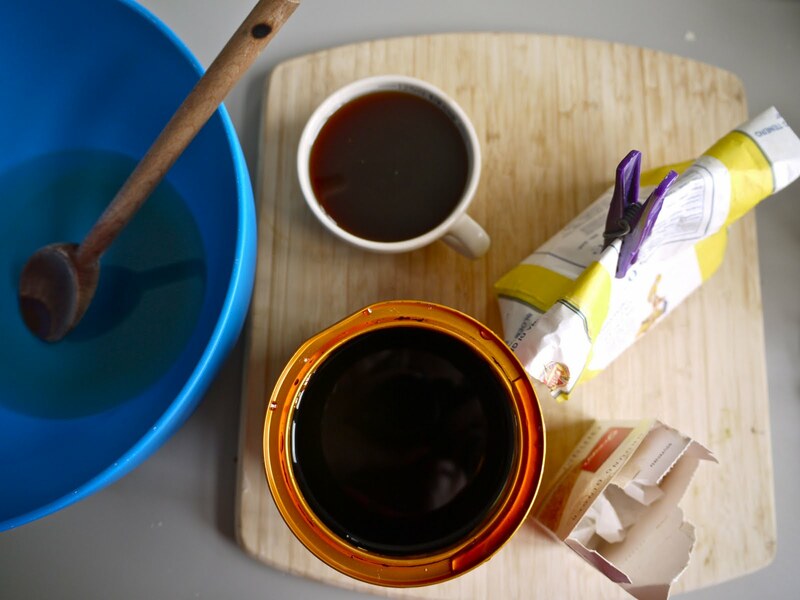 Make a well in the centre, pour in the syrup and oil and whisk together before mixing the lot together. Or you could whisk the wet ingredients separately, but this saves on dishes. If it looks too soft and sticky to roll and cut out, then add a little more flour. I had to, so you might too. Grab a chunk and roll it out, I used two bits of greaseproof paper and rolled it between them, because that saves washing the bench and the rolling pin. If you don’t have a rolling pin, a bottle of wine or something similar shaped will do just fine. 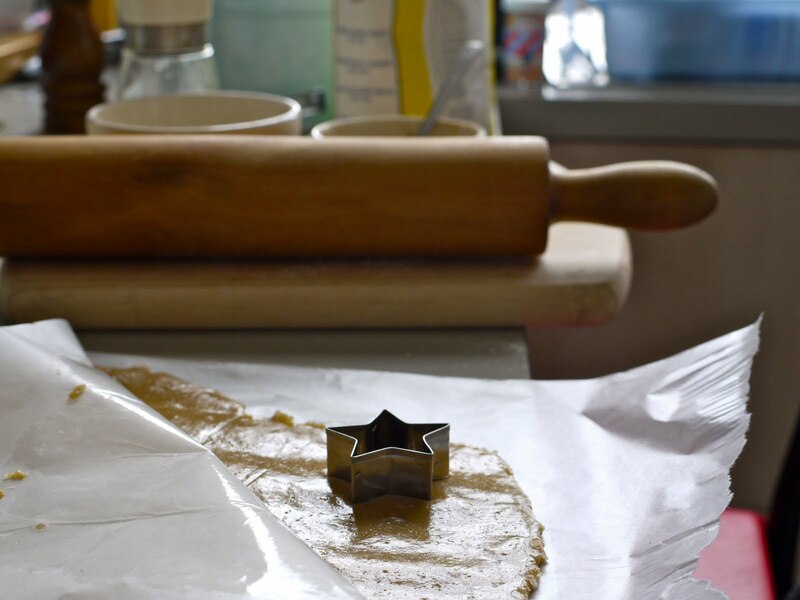 Cut out however you like – if you don’t have any cookie cutters, just use a glass with the rim dipped in flour, or just cut them into squares with a knife. 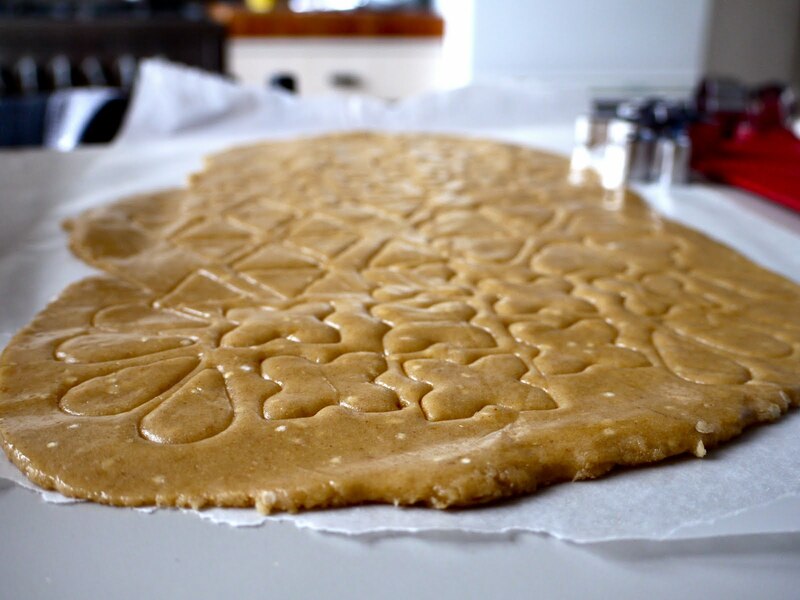 Lay the shapes onto the tray and reroll the scraps, before grabbing another chunk of dough and repeating. Once the tray’s full, bake for 10 minutes only – then carefully transfer to a wire rack to cool, and continue like this till you run out of dough. Makes plenty – depends on how big your cutters are. 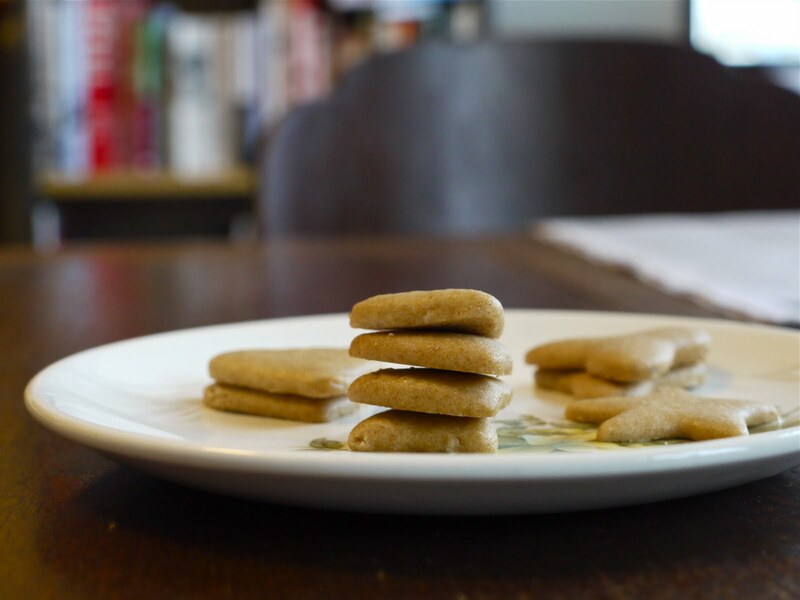 I love how these cookies turned out – a little chewy from the syrup but still crisp and biscuity. I used golden syrup because I have a massive tin of it, and it makes an ideal carrier for spicy flavours with its caramelly depth and darkness. All that syrup means these keep for ages as well, to be eaten by the contemplative handful as and when you desire. I did consider icing them but their small surface area would’ve made it a complete mission. However bigger cookies lend themselves to all kind of sugary artistic notions. Especially if you’re making this with kids (or, not to be narrow-minded, yourself) – make faces or swirls or squiggles or Jackson Pollock drips with different colours, sandwich ’em together, stick lollies to them, whatever makes you happy. 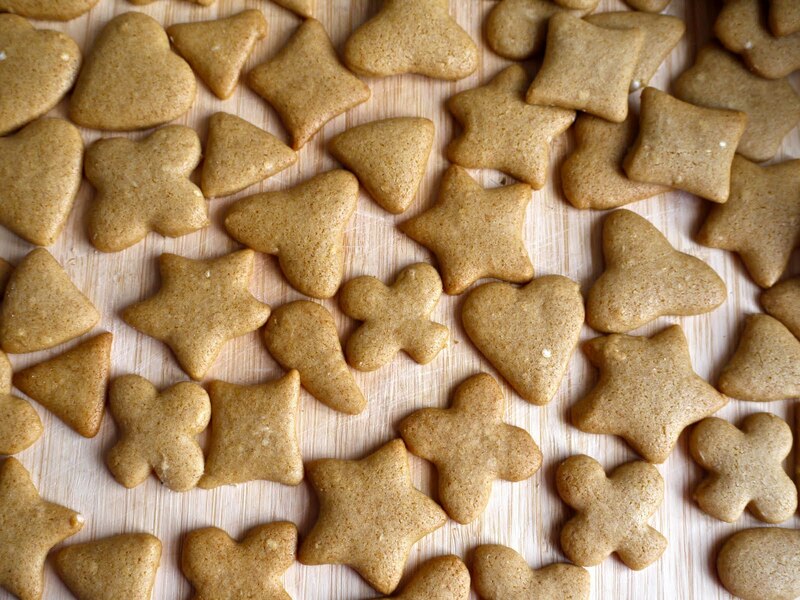 Plain, they were still perfect – the gingery intensity of flavour was all the embellishment these tiny shapes needed. Not to sound flippant or anything, but how amazing has it been watching the situation in Egypt unfold? There are so many more places for news to try and reach you these days but I’ve loved the commentary and links to information and photos on Twitter. Now that Mubarak’s will-he-won’t-he dance of Electric Slide proportions is over I hope Egypt’s people are able to move towards being, in the words of Audra McDonald, “prosperous, peaceful and free”. Title via: Dead Weather’s I Cut Like A Buffalo from their album Horehound. It’s a total pity that buffalo mozzarella is so expensive, because there are heaps of good songs with the word buffalo in their title for me to exploit. Shuffle off to Buffalo, Buffalo Gals, Buffalo by the Phoenix Foundation, Buffalo Soldier, Buffalo Stance…what’s the deal? Gil Scott-Heron and Brian Jackson’s Winter In America, bluesy and beautiful. Love the of-the-timely H20gate Blues. PJ Harvey’s new, extremely magnificent song The Words That Maketh Murder. New PJ Harvey!! Next time: I’ve reconnected with my Aunt Daisy cookbook and it feels like every page throws up something I really, really want to make. So you can expect something from her next time for sure. How adorable are those shapes? I love that they get all puffy and comic-sans rounded when baked too. I must get myself some more cookie cutters. Also, Alicia Silverstone's website? I had no idea this existed. Awesome. P.S. I wish you'd make these for me. I always shy away from cut-out cookies! Gorgeous! Ginger makes for a good cookie. Those are great pics too. Millie: comic sans rounded, hee. The only time comic sans is acceptable. Yeah, her website is great! Go her! Anna: Yeah, plain was all good. 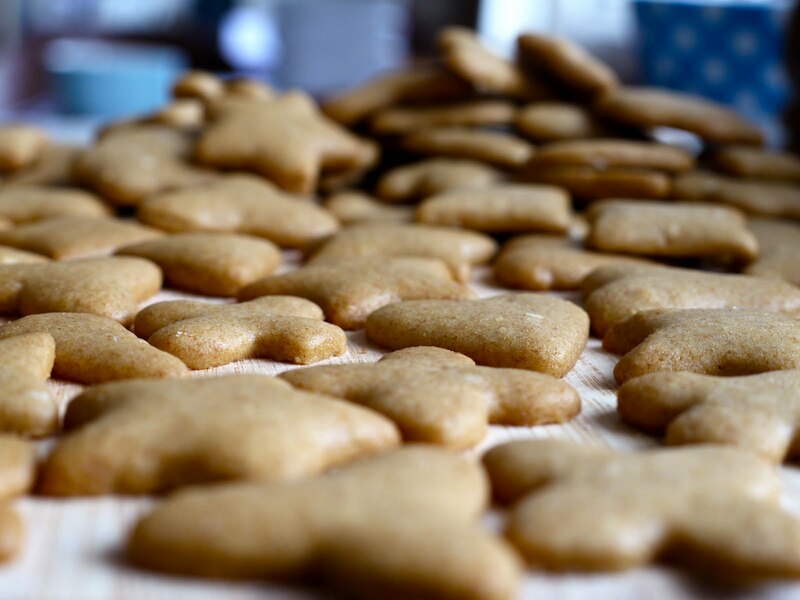 Vegan biscuits aren't so hard to find – just no egg, and oil instead of butter. Hey Laura I love the look of these cookies! How could I not! And your artful photography of course sets them off to perfection. So pleased you were able to use the cookie cutters.